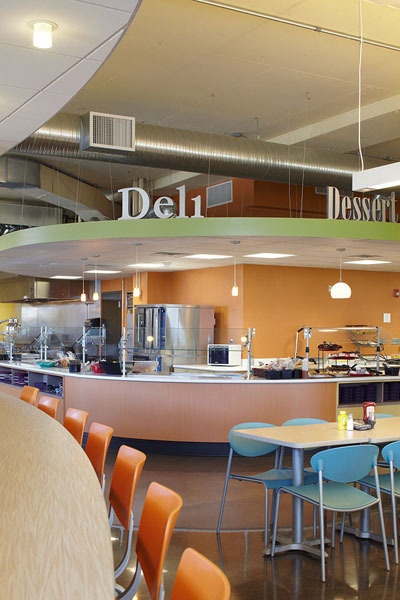 PWA has given Avila University’s Dining Hall an extreme makeover. 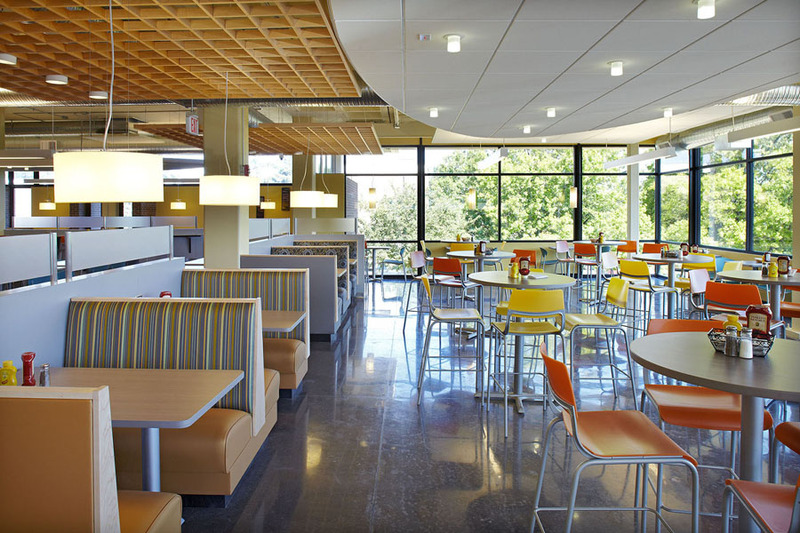 The existing cafeteria environment was transformed into a warm, welcoming café that extended its typical mealtime use into a central gathering place for students to meet and study outside dining hours. 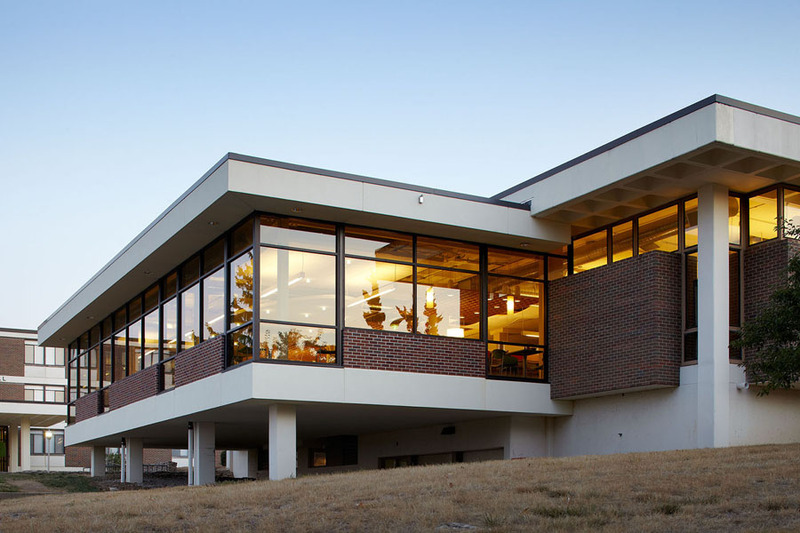 A new glass atrium-like enclosure over the existing structured outdoor patio area also increased the dining hall’s capacity while creating a new sunroom for year-round use. Rethinking the single, large space furnished with institutional rows of tables and chairs, the new design was deliberate in creating a variety of seating options and atmospheres in four distinct areas that allow for privacy or intimacy while also being flexible for different sizes of groupings. 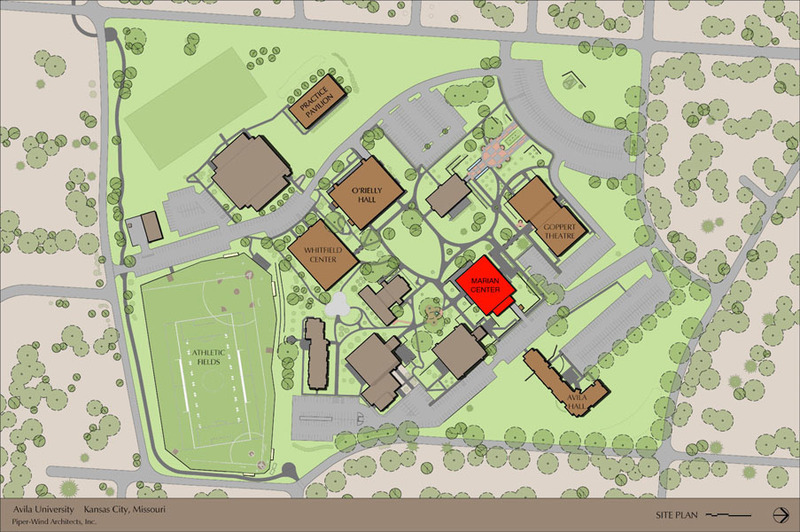 Accent lighting has been used to emphasize these separate clusters of space. 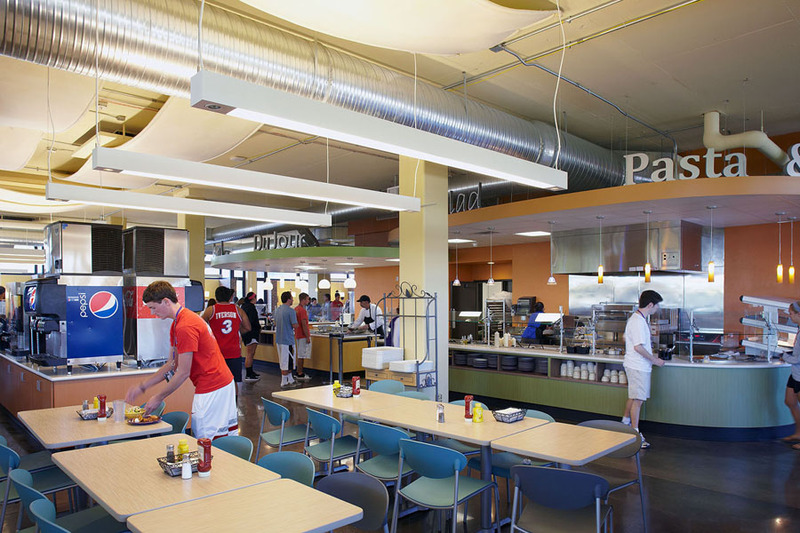 Serving lines are clustered centrally next to the reconfigured kitchen and no longer in the middle of the room, allowing for more efficient and accommodating food service operations. The new look is immediately apparent more like a fast casual restaurant or coffeehouse. Fabrics were chosen with large scale patterns to enhance the restaurant/ hospitality feel. 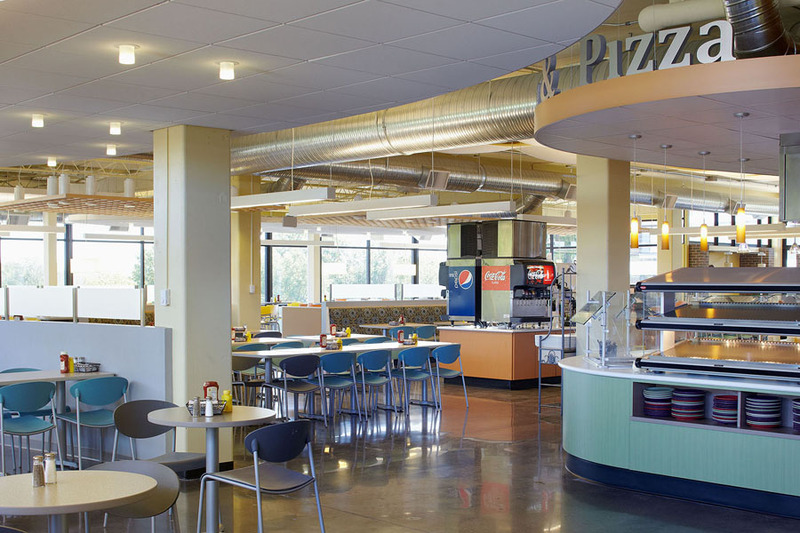 And the addition of wireless internet service throughout the Dining Hall allows for individual study time at the raised counters or study groups at any of the seating combinations.